Control the (apparent) size of a hole with your brain. Learn to "fly" on one of the Exploratorium's oldest exhibits. How far away ARE those chairs? Where are you in infinity? 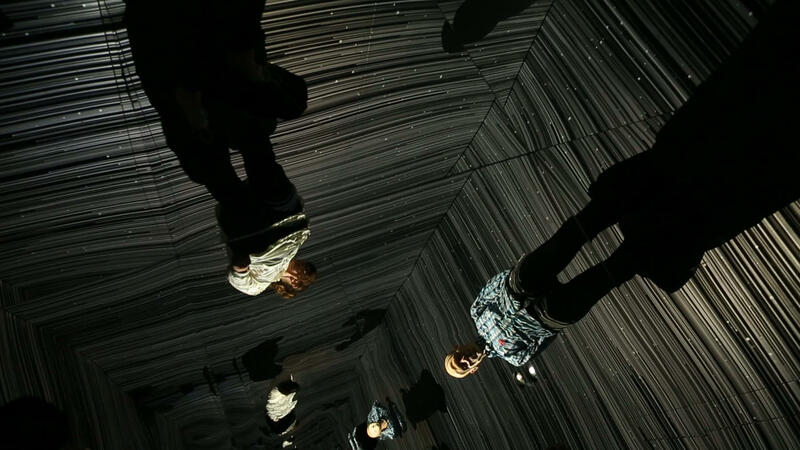 Try the Infinity Room. Without depth perception, random lines can become a chair! A cube made from drinking straws can confuse your brain. Explore the afterimages your eyes and your brain create. Do the Bird in a Cage experiment with some basic materials. Do you have a staring problem?